Is This Where You're At? Lovely office for rent near Sullivan’s Gulch and Irvington neighborhoods of NE Portland. This 10’x12’ ft office is on the mezzanine level of a 100-year-old building and has its quirks and charms. 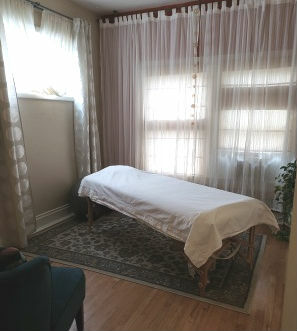 I’m a bodywork practitioner and have built my practice here over the past 6 years. My focus is on Craniosacral and Myofascial Therapy to treat people working through Head, Neck and Jaw Issues. I am a mother to young children and am currently working part-time. I’m looking for someone who is reliable and respectful to share this unique space with! Sublet is for 2 days/week, 1 Weekend Day, your choice, and 1 Weekday - your choice of either Tues or Thurs. I am open to flexibility and changes to the schedule after the initial 6 month lease. Total rent is $200 and includes: utilities, wifi and basic office sundries. Must have professional liability insurance where applicable and references. 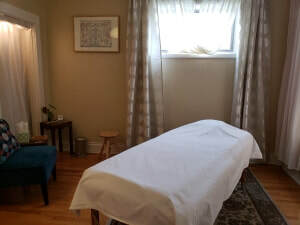 A great fit, but not limited to one who provides: bodywork, massage, acupuncture, coaching, midwifery, nutrition and diet services, doula services, lactation consultations, energy work, wellness practices, etc.